Microsoft will lay off thousands of its employees with the majority of job cuts hitting the sales force at the software maker. The majority of job cuts will hit employees working outside the U.S., although some will hit at its headquarters in Redmond, Washington. These layoffs have been widely anticipated since last week when word of them leaked. Microsoft is reconfiguring its huge sales organization in order to focus on products that are cloud-computing and particularly sales to certain industries. 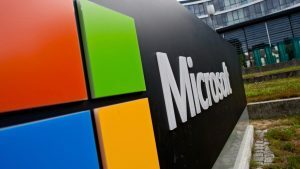 Layoffs will fall on groups that also support sales staff, such as the information technology department at Microsoft, finance and its Corporate, External and Legal Affairs area. Reorganizations, at times including layoffs, happen annually at Microsoft as the fiscal calendar moves to a new year starting in July. Microsoft started a new fiscal year on Monday with a memo that Judson Althoff the chief of business sales sent to his sales and marketing employees. In the memo no layoffs were discussed by it said that sales employees would have to start operating in new ways. The email explained in detail the range of changes that will take place in the organization that covers sales groups that are aimed at simplifying the sales teams at the company. Prior to the cuts on Thursday, close to 50,000 or 40% of the close 121.500 Microsoft employees worked in some form in sales. The group of sales personnel was cobbled together in the decade where Microsoft grew to become the most dominant player in software for businesses through selling software licenses and was led by former COO Kevin Turner, who in 2016 left the company. In the past few years the company has pushed to increase sales of on-demand computing power, software services and data storage. Microsoft has attempted to boost technical expertise in its sales staff as it reduces roles seen as being redundant or not necessary any longer. That has led to hiring even during the times the company is shedding jobs. Last year during an interview Althoff said the company had added over the last year 1,000 new sales employees that have expertise in the company’s cloud solutions or have a mix of sales and technical expertise to aid customers in making use of its on-demand software. During the same period, Microsoft cut 900 jobs in sales as part of more than 2,850 layoffs that were targeted for the just ended fiscal year.